In Asia Minor in the 170s A.D., a recent convert to Christianity, Montanus, along with two women, Prisca and Maximilla, began having episodes of ecstatic prophecies, which they claimed to come from the Holy Spirit. They spoke in the first person and accused those who disbelieved them of being guilty of sin against the Holy Spirit. Many in the region believed in these prophecies—often whole congregations. There does not at first seem to have been anything heretical in the prophecies. They had more to do with reaffirming accepted teachings, condemning Gnosticism, and enjoining various devotions. Most bishops did not accept the three, excommunicating them from their congregations. The first-person nature of the prophecies was more akin to possession than prophecy. The prophets claimed greater authority for their utterances than the Gospels or the apostles. By 180 A.D., the three had died, but their sayings were collected and revered by those who remained faithful to them. 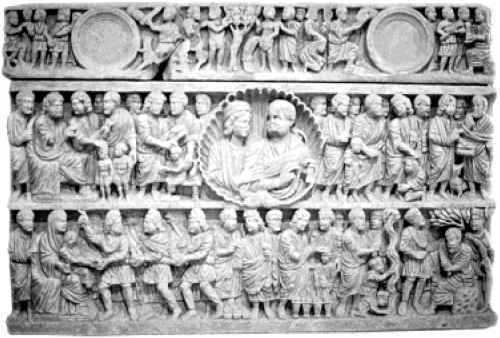 A separate Montanist church spread across Asia Minor and found adherents elsewhere in the Empire. 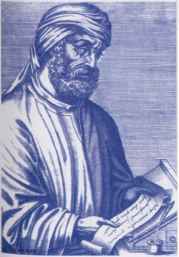 The famed Tertullian became one. Later Christians were often unclear whether Montanists were heretics or schismatics. Montanist congregations could still be found as late as the fifth century in Asia Minor. What constituted a heresy? What constituted orthodoxy? These were important questions for Christians. They must be bound together not only in love but also in truth. As the successors of the apostles, it was the job of the bishop to maintain orthodox belief. If the bishop or an entire congregation went astray, other bishops, particularly the bishop of Rome as successor to Peter, had to correct the error (Clement, Epistle to the Corinthians). Orthodox responses were initially confined to ad hoc corrections to local communities or expulsions of heretics. By the second century, Christian writers were providing reasoned arguments to combat the spread of heresy. Irenaeus, the bishop of Lyon, wrote Adversus haereses with the stated purpose of allowing Christians to detect and refute false teachings. It rests above all on the authority of the apostles, who knew the truth and passed it down through their successors. Heretics might claim special or secret knowledge, but bishops could claim direct succession from the apostles chosen by Christ. If such knowledge existed, why would the apostles not have passed it down? And how did it get into the hands of the heretics? 'We are able to name those who were appointed bishops by the Apostles in the churches and their successors down to our own times. They neither taught nor knew of any such thing as these hallucinations. Yet, if the apostles had been aware of any hidden mysteries, which were disclosed to "the perfect" apart and secretly from the rest, they would have delivered them first of all to the men to whom they committed the churches. For they desired above all that these men should be perfect and blameless in everything, since they were leaving them behind as their successors and entrusting their own office of government to them." Irenaeus, therefore, points to the Roman Rule of Faith, later known generally as the Apostles' Creed. Tertullian wrote his Liber de praescriptione haereticorum about 200 A.D. Like Irenaeus, he insisted that truth lay in the authority of the Apostolic Foundation. "Christ sent His apostles, who founded churches in each city, from which the others have borrowed the tradition of the Faith and the seed of doctrine and daily borrow in order to become churches; so that they also are Apostolic in that they are the offspring of the Apostolic churches. All are that one Church which the Apostles founded, so long as peace and intercommunion are observed. Therefore the testimony to the truth is this: We communicate with the Apostolic churches." He considered it ludicrous that all of the baptisms, miracles, martyrs, and every other component of Christianity had been wrong until the coming of some new thinker with a few followers.